After eight seasons, live audiences return to Big Brother’s eviction episodes. 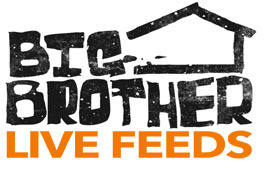 WLBB was first to report that Big Brother will feature live audiences for the eviction episodes of Big Brother 10, according to Audiences Unlimited. Big Brother follows a group of strangers living together in a house outfitted with dozens of cameras and microphones recording their every move 24 hours a day, seven days a week. One by one, the HouseGuests will vote each other out of the house until at the end of three months, the last remaining HouseGuest will win the grand prize. You are invited to be part of the studio audience for the LIVE weekly ‘elimination’ show where one HouseGuest gets voted out. Tickets were originally available for the Wednesday, July 16 episode. We are assuming this will be the first eviction episode of the season. Tickets for this episode now seem to be sold out. Other eviction dates are posted on this website as July 23, July 30, August 6, August 13 and August 20.